Marking essays can be the most tedious thing ever. After a while the broken English starts to make sense and I start to question whether or not things like “Christmas am delicious I exciting!” might actually make sense. First things first, I should explain who Doraemon is. 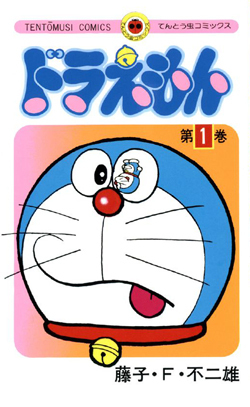 Doraemon is a robot cat and the main character in the Japanese manga with the same name. Doraemon has all sorts of tools, like an Anywhere Door that takes you –you guessed it — anywhere, and a “small light” that works like a flashlight but instead of illuminating things it makes them smaller. Most of the students wrote essays about which of Doraemon’s tools they thought were the most usefull. This student, however, focused on Doraemon’s achilles heel, his round hands. As the student pointed out, he might have all sorts of cool tools at his disposal, but with round hands Doraemon will always be a predictable rock in Rock, Paper, Scissors. In Japan, this matters. Rock, Paper, Scissors is an important decision making tool in Japan. I don’t think that I have taught a single class yet where RPS has not been used at least once. (In Japan it is called Janken but the rules and procedure are basically the same.) My students play rounds of Janken so quickly that sometimes I cannot keep up with who has won until there is a final champion. A group of ten can be narrowed down to a single winner in seconds, before I am even sure what the students are deciding. Every time my students play Janken I am reminded of my status as an outsider, because even if I practices a lot (and we can probably agree that’s a lame way to pass the time) I could never be a RPS champion. Like Doraemon, I just do not have a chance. It’s a little late now and I can’t think of a good way to wrap up this post, so instead I’m going to share this video. Hey, if Doraemon, these penguins and I all have the same problem, then at least I’m in good company! *This excerpt has been edited to make it all one language, and to make that language resemble English.